New research commissioned by Colorado’s Strategic Action Planning Group on Aging (SAPGA) shows informal caregivers pay a hefty price to do this important work — $3.7 billion in 2015 or $7,400 per caregiver. The economic analysis, conducted by the Colorado Health Institute, puts a dollar amount on the opportunity costs Coloradans experience when they become informal caregivers. These costs result from a combination of forgone wages, forgone benefits, expenses incurred by the caregiver to provide care, and increased health care costs for caregivers themselves. The estimates do not take into account other important costs, such as forgone promotions, pay raises, and professional development opportunities. Approximately 1 out of every 10 Coloradans is informally caring for an individual age 50 or older. The average age of these informal caregivers is 50. As our state continues to age, so too will these caregivers, and these costs will become more pronounced. CHI’s modeling shows by 2030, the figure will rise to $6.6 billion. Employers also face financial pressure, as more than half of all informal caregivers are employed. CHI’s analysis shows last year employers lost out on $564 million due to employee absenteeism (missed work), presenteeism (measured as hours lost due to workday interruptions), and turnover. In 2030, employers are projected to shoulder $1 billion in informal caregiving costs. Informal caregivers provide vital services to older adults, many of whom are family members. 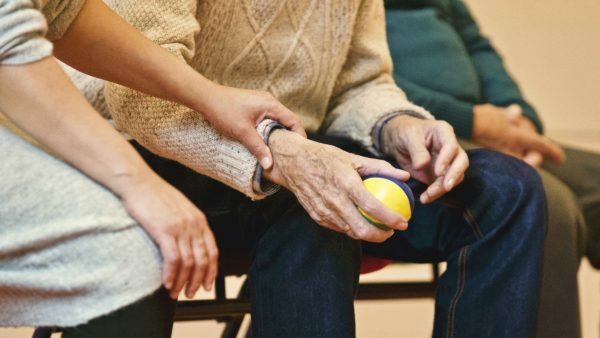 They help them age in their homes and communities, provide a support network, allow them to retain independence, and save them the cost of paying for formal caregiving and even higher priced institutional care. By assuming some of the cost burden of caring for older adults, informal caregivers also save the state money. Without them, many older Coloradans would be forced to spend down their assets and receive care through Health First Colorado (formerly Medicaid). Prior research by AARP has shown that in Colorado, caregivers generated $7.4 million in economic value to the state per year. The CHI report identifies many possible policy avenues that would support informal caregivers in ways that could alleviate the financial, health and social burdens that they face. They include levers the Bell supports, such as finding ways to increase workplace flexibility, subsidizing financial education on the need to save for retirement, engaging and educating policy makers and community leaders on the issue of caregiving, and supporting increased access to respite care. This study is an example of why SAPGA’s plan and recommendations — which will be released in November — are so important to Colorado. It quantifies an important aspect of the impact aging will have on our state, highlights the strides already made in the public and private sector, and offers potential solutions to the big policy choices we must confront.